While medicinal herbs for seasonal flu (influenza) or the common cold are not a cure, they can be used to alleviate the associated symptoms. Also, medicinal herbs can stimulate the immune system and may help bring about a more rapid recovery. Some studies have shown that many of the traditional uses of herbs for the flu are quite useful. As more and more well-designed studies support the effectiveness of many these traditional herbal treatments, numerous commercial preparations for the flu and common cold now incorporate medicinal herbs. There are four general groups of herbs that are traditionally used for the treatment of the seasonal flu. 1. The first group consists of herbs that stimulate the immune system. These are best used during the onset of symptoms and include boneset, echinacea, and Asian ginseng. 2. The second group of herbs for flu is characterized by the herbs’ diaphoretic actions; these herbs promote a mild fever and sweating. Fever is a sign that the immune system is working, and is the body’s defense against infection. Elderberry, boneset, and yarrow are three herbs highly regarded for their diaphoretic action. 3. The third group includes herbs that have been studied for their anti-microbial action. Herbs that are known for their anti-microbial and anti-viral properties include goldenseal, myrrh, and usnea. 4. Finally, there are herbs that are anti-inflammatory or have tannins that are astringent (contract inflamed tissue). 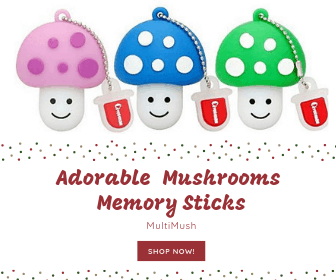 In addition, some of these medicinal herbs are high in mucilage and have therefore soothing and anti-inflammatory properties and are commonly used for treating a sore throat. Examples of herbs in this group are red sage, marshmallow, and red raspberry. Echinacea (Echinacea angustifolia; E. pallida; E. Purpurea) is perhaps the most widely known medicinal herb for flu relief and is used to rid the body of both viral and bacterial infections. Double-blind studies have shown that it is an effective herbal treatment for symptoms of colds and flu when the root is taken as a tincture, tea or in capsule form. Its actions are anti-microbial and alterative (gradually restoring the healthy function of the body). Echinacea should be taken at the onset of the symptoms, for a total of seven to ten days. 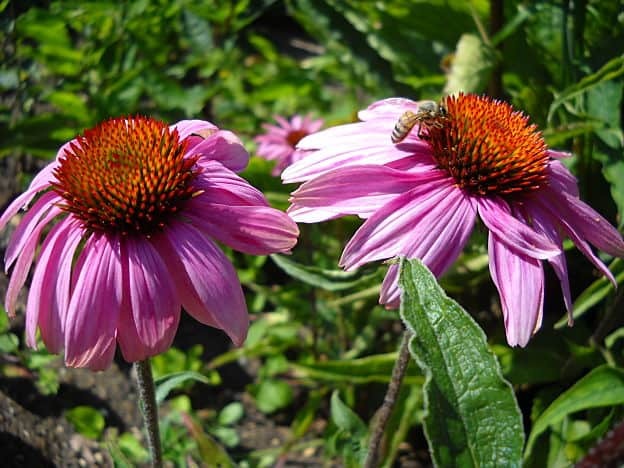 Double-blind trials indicate that it is not useful to take echinacea on a regular basis. The standard dose is to take five or six cups of the tea for the first day of the onset of symptoms and reduce the amount by a cup per day over five days. In tincture form, 1-4 ml of the tincture can be used three times a day. Echinacea is often used in combination with other herbs. A tincture combining E. angustifolia root, wild indigo (Baptisia tinctoria), boneset (Eupatorium perfoliatum) and homeopathic arnica (Arnica montana) is often recommended as a natural remedy for the symptoms of colds and flu. The leaves and roots have been used in Ayurvedic medicine for hundreds of years. Studies have shown that the bitter constituents in andrographis have immune-stimulating, anti-inflammatory, antiviral and analgesic actions. Goldenseal root (Hydrastis Canadensis) has been used traditionally for a long time as an herbal remedy for seasonal influenza, and it is considered one of the most useful herbs available. Its actions are tonic, astringent, anti-catarrhal, laxative, muscular stimulant, oxytocic, and bitter. It is valuable as a treatment for disorders affecting mucous membranes such as sinus and lung congestion, swollen lymph glands and fever. It soothes irritated mucous membranes and is used as an herbal treatment for a sore throat. Goldenseal tinctures or tea is often used as a treatment for a sore throat. The active components in goldenseal include the alkaloids hydrastine, berberine, and canadine. Berberine activates macrophages (the white blood cells that fight bacteria, fungi, viruses, and tumor cells). Goldenseal should only be taken for short periods of time and is most often used in combination with other herbs. The standard dose is 4-6 grams three times per day in capsule or tablet form. Because goldenseal is threatened in the wild due to over-harvesting, other plants containing the alkaloid berberine, such as Oregon grape (Mahonia aquifolium), barberry (Berberis vulgaris), or Chinese goldthread (Coptis chinensis), should be used whenever possible. Boneset (Eupatorium perfoliatum) is considered by some herbalists to be the best remedy for the symptoms associated with the flu. Its actions are diaphoretic (aids the skin in the elimination of toxins and promotes perspiration), aperient (mild laxative), tonic, anti-spasmodic, and relaxes the mucous membranes. The dried aerial parts are used for medicinal purposes. It is used to stimulate the immune system, to help reduce fevers and to help clear congestion. It is considered one of the most effective herbs for the treatment of body aches and pains from fever or rheumatism. The recommended dose is an infusion made by pouring a cup of boiling water over 1-2 teaspoonfuls of the dried herb, steeped (not cooked) for 10-15 minutes. During fevers or the flu, it should be taken every half hour. As a tincture, take 2-4 ml three times a day. Boneset may be used as a treatment for flu in combination with yarrow, elder flowers, cayenne or ginger. The flowers and berries of the elderberry (Sambucus nigra) are a traditional diaphoretic remedy to help promote sweating during a cold or to break a fever. The flowers are used as an herbal treatment for congestion of the upper respiratory tract. The active constituents of the flowers are flavonoids, including rutin, isoquercitrin and kaempferol, and the hydrocyanic glycoside sambunigrine. The primary actions of the flowers are diaphoretic and anti-catarrhal. The recommended dose is to make an infusion by pouring a cup of boiling water over two teaspoonfuls of dried or fresh blossoms and steep for ten minutes. This tea should be taken three times a day. As a tincture, take 2-4 ml of the flower tincture three times a day. 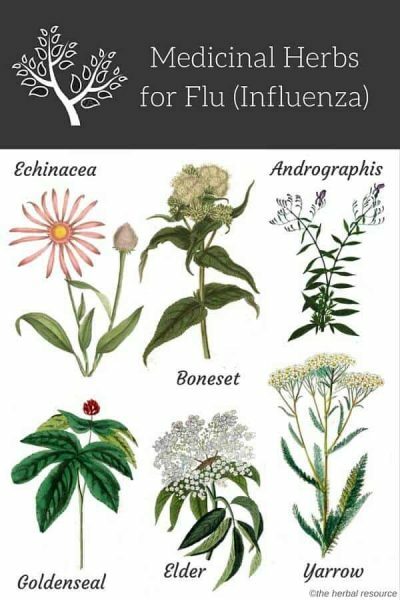 For flu, it may be combined with boneset. For fevers, it may be blended with yarrow, peppermint or hyssop. The aerial parts of yarrow (Achillea millefolium) are considered to be one of the most important herbs for flu and fever treatment. Its actions are diaphoretic, hypotensive, astringent, diuretic, and antiseptic. Its constituents are flavonoids, tannins, and a bitter alkaloid. The recommended dose is as an infusion prepared by pouring a cup of boiling water over 1-2 teaspoonfuls of the dried herb and steeping for 10-15 minutes. The tea should be drunk three times daily, or if taken for fever, it should be consumed hourly. As a tincture, take 2-4 ml three times a day. Yarrow is often taken in combination with elderflower, boneset, peppermint, and with cayenne and ginger. Usnea – (Usnea spp) – A lichen. Always consult your physician when using natural remedies as a treatment for severe illnesses. Remember that herbs cannot cure the flu, and herbs may still produce side effects or may carry some element of risk (although side-effects and risks are generally less frequent and less severe than in synthetic drugs). The use of herbs for flu should be carefully researched to understand any precautions and contraindications clearly. An important consideration is that some herbs will interact with other medications; for this reason, it is imperative to talk to your doctor first about taking any herbal medicine. Always inform him or her of any medications, vitamins or herbs that you are taking. Carefully research and select a reputable source for your herbs, and read the labels for ingredients, instructions, and warnings. I do enjoy your monograph, but I have a comment on the use of boneset. While boneset is a good remedy for symptoms of flu, in otherwise healthy adults, it should also not be so highly recommended, especially for those with liver issues, pregnant/nursing mothers and children. Boneset, along with comfrey, borage, coltsfoot, and butterbur contain toxic PA’s (Pyrrolizidine Alkaloids). The American Herbal Pharmacopoeia recently tested boneset and found low levels of this toxin. Suggestions are that taking boneset internally should be limited to no more than one week and preferably with other herbs in a formula to limit the dosage.